Harold "Rusty" Spencer, 90, of Scottsville, KY passed away Friday, April 13, 2018 at Cal Turner Rehab & Specialty Care. 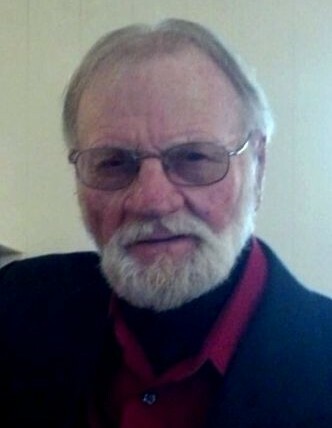 The Scottsville, KY native was a retired employee of Atlas Foundry, owner and operator of Rusty's lawn mowing service and a loving family man. He was a son of the late William Arthur Spencer and Zula Evelyn Ashford Spencer and husband of the late Ann Elizabeth Keefer Spencer. 7 grandchildren, 6 great grandchildren and several nieces and nephews. He was preceded in death by 1 daughter: Tracy Tedesco; 3 brothers: Ralph Spencer, Cloyd Spencer and Pat Spencer; 5 sisters: Lorene Mitchell, Ruby Spencer, Alma Gunnels, Catherine Dillard and Betty Graves. Graveside services for Harold "Rusty" Spencer will be 12:00 Noon Tuesday, April 17, 2018 at Cedar Cross Missionary Baptist Church Cemetery with Bro. Eddie Tabor officiating. Goad Funeral Home is in charge of arrangements.